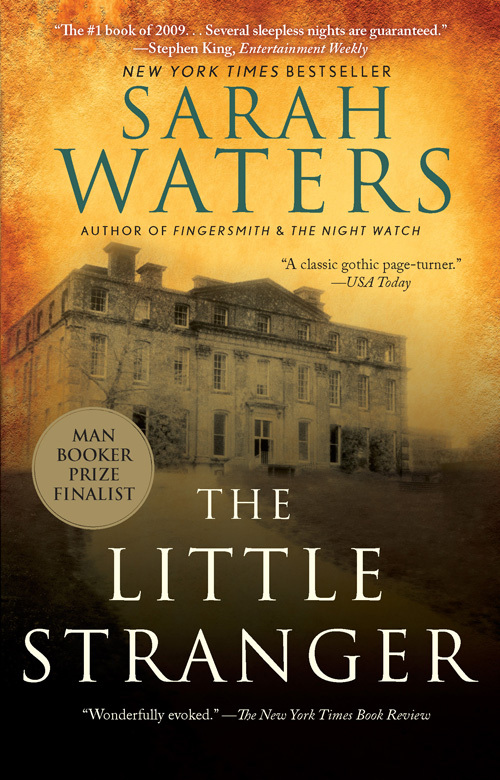 The Little Stranger was one of those books that started out as one thing and then became something else. A sort of Remains of the Day meets Grey Gardens that turned gothic a third of the way through, with echoes of Wuthering Heights. It’s not my usual shtick. I normally like stories where not much happens. But this was such a classic fireside kind of yarn and the narrator was so candid, yet foolishly oblivious that I was happily swept along. I tore through the book, as you do when a story is propelled more by plot than ideas. It was also extremely visual, from the gravel on the driveway, to the patina of the tobacco-stained ceiling, everything sparked and crackled a real and sensual world. In that respect, it’s no surprise that this book is currently in development for TV, and will probably make good viewing. Characters were told with a fair hand, irksome and endearing qualities, biases and baggage laid plainly before the reader. Neither too charitable nor romantic, Waters' means of revealing characters made it easy to see them as very human; at odds with themselves, self-destructive and ultimately fill the reader with sympathetic feelings. I especially found Caroline Ayres to be a lovely rendering of a female character; vulnerable yet brusque, plaintive yet proud. But literally haunted as The Little Stranger is, it's not especially haunting once you finish it, which is disappointing for a book that managed to be shortlisted for a Booker. There are no ideas so complex nor portrayals so profound that you're left with that elated high of having read something transformative. And part of me wished the story had stayed away from the supernatural and dug deeper into the psychological. Still, as I read this book, it consumed me completely. It was a pleasant change of gears for me and the perfect book to read in bed on autumnal evenings.